Researchers teach AI to predict which high-risk lesions present the most risk. A new study reveals that a machine learning tool can help to identify which breast lesions, already classified as “high-risk,” are likely to become cancerous. The researchers behind the study believe that the technology could eliminate unnecessary surgeries. Breast lesions are classified as high-risk after a biopsy reveals they have a higher chance of developing into cancer. Surgical removal is typically the recommended treatment option for these lesions due to the increased risk, even though many of these lesions do not pose an immediate threat. With “less immediate” cases, surgery may be deemed unnecessary and follow up imaging or other treatments may be found to be the preferred course of action — but only if there is a reliable way of differentiating between the lesions. A research team from MGH, MGH breast imaging experts, and researchers from the Computer Science and Artificial Intelligence Laboratory at the Massachusetts Institute of Technology (MIT) collaborated to study how a machine learning tool could be used to discern which high-risk lesions were more or less likely to turn into cancer. Machine learning allows an artificial intelligence (AI) system to learn from its past experiences and improve its performance as a result, similar to the way in which humans learn. The model, in this case, analyzed traditional risk factors, like lesion histology and patient age, along with a few more novel features like keywords in biopsy pathology reports. 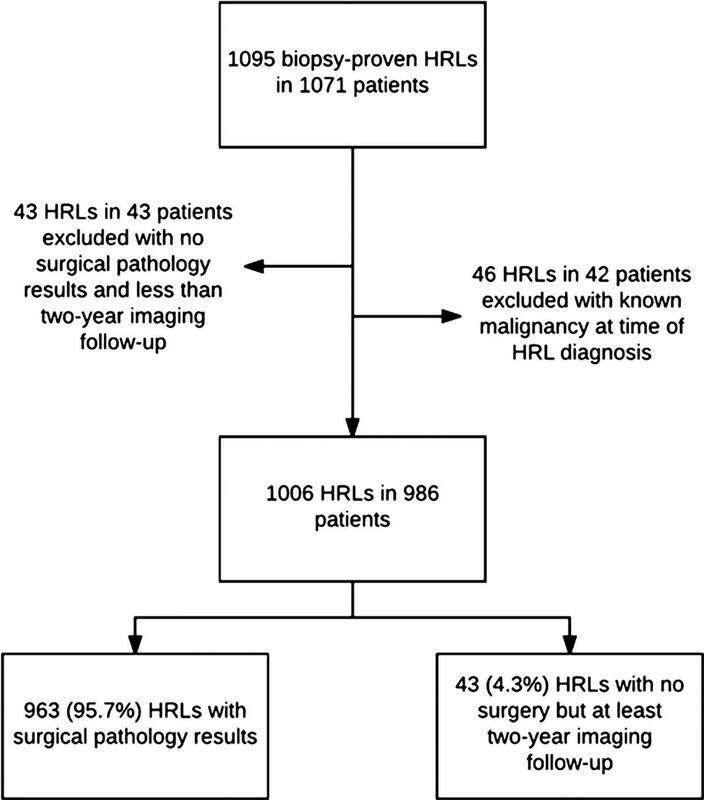 The team trained the machine learning model on patients with high-risk lesions confirmed via biopsy who had either had surgery or two-year imaging after the biopsy and high-risk determination. In the group, a total of 1,006 high-risk lesions were identified, and 115 of them, or 11 percent, later developed into cancer. The researchers trained the model on two-thirds of the high-risk lesions, and then tested it on the 335 lesions that remained. The model correctly predicted cancer upgrades in 37 of the 38 lesions or 97 percent. The team found that, had the model been used, it would have helped to prevent nearly one-third of the surgeries conducted on benign lesions. The machine-learning model also found that the keyword terms “severely” and “severely atypical” in pathology reports were associated with a greater risk of developing cancer. “Our goal is to apply the tool in clinical settings to help make more informed decisions as to which patients will be surveilled and which will go on to surgery,” Dr. Bahl said in the release. “I believe we can capitalize on machine learning to inform clinical decision making and ultimately improve patient care.” This is just one more example of how machine learning is transforming how we treat, manage, and prevent disease.